but the finally looked at me at the same time. The only day it really rained was when we were packing up to leave. 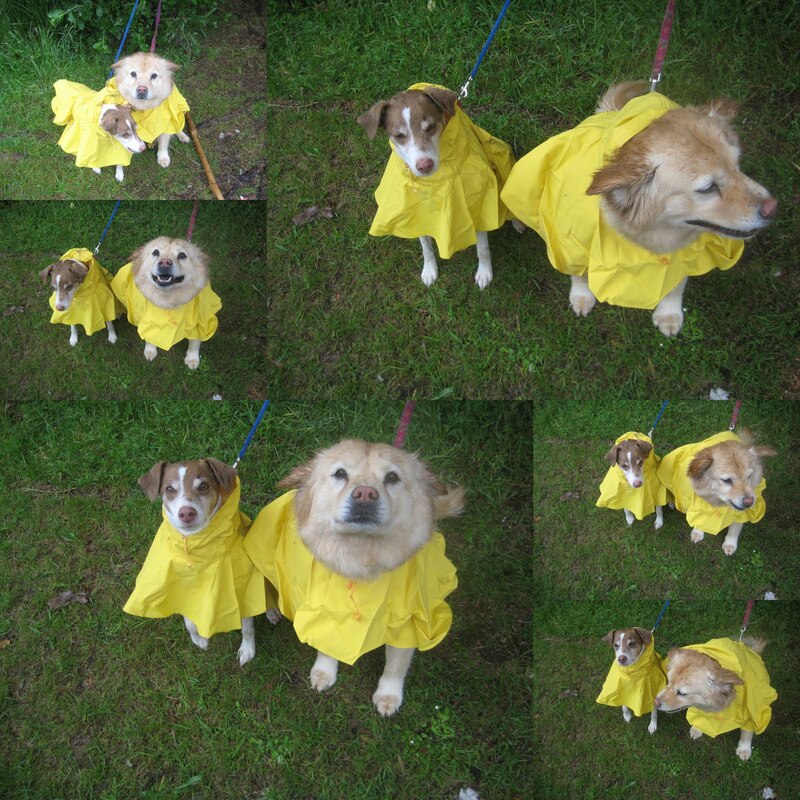 YES, I did put rain coats on the dogs but I really did not want to bring home 2 soaked and dirty dogs. A big plus, they look ADORABLE!! Yes, the photo op could not be beat! Yes, very, very cute! And no boots? Too cute & too spoiled! !